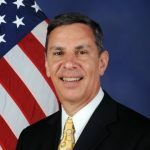 Thomas Gillespie, director of the Department of Defense Information Analysis Centers, has provided the agency with strategic studies and built communities of interest in areas of critical importance, including cyber operations, weapon systems and homeland defense. In September, DoD signed 15 companies to a potential nine-year, $28B contract for technology research and development services. BAE Systems, Leidos, ManTech International, Raytheon and many others are vying for $15M in task orders under Pool 1 of the awarded contract for the Defense Technical Information Center. The work is projected to continue into 2027. DefenseDaily. The DTIC operates within three distinct information analysis centers focused on cyber security, homeland defense and defense systems technologies, according to Gillespie. The new contract merges the goals of all three centers into one contract. 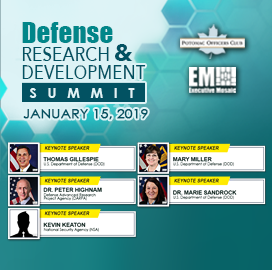 Thomas Gillespie will be featured as a keynote speaker for the Potomac Officers Club’s 5th Annual Defense Research and Development Summit on January 15th. During the event at the Hyatt Regency in McLean, Va., the discussion will focus on defense R&D plans, priorities, challenges and how the industry is working to make changes and reach other significant milestones.